Many times you only need to use half of an onion, or even a quarter of an onion. For example, if you need to make a sandwich or a salad, you might only need a few onion slices. If you only use part of an onion, what do you do with the rest of that onion? Do you throw it out? How do you store an onion half? Storing an onion half is very easy. All you need to do is to wrap an onion half tightly in a plastic wrap and put it in the refrigerator. It will stay fresh in the refrigerator for at least a week. Why do you need a plastic wrap to store an onion half in the refrigerator? There are 2 reasons why you need that plastic wrap. Reason #1: the plastic wrap will prevent the onion smell in your refrigerator. Reason #2: the plastic wrap will keep the onion from drying out. The onion half that’s stored in the refrigerator wrapped in a plastic wrap tastes fresh even a week later. It produced fresh and crisp onion slices, and nobody could ever tell it apart from a brand-new onion. So, don’t throw out unused onion. Store it and use later. How To Store Apples – In The Refrigerator Or On The Counter? That’s how I do it but wasn’t sure it was best. Thanx! Gonna bookmark your site. Looks very inviting. Thanks, Jeff! 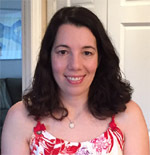 I’m glad you like my site! 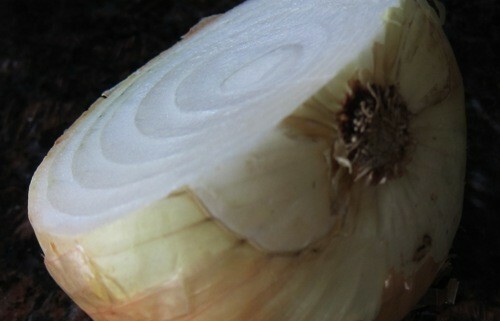 But should the onion be facing sliced side down or up to aid in keeping it fresh? I would imagine that being sliced side down it would lose some of it’s juices? The onion is stored wrapped tightly in a plastic wrap in the refrigerator. 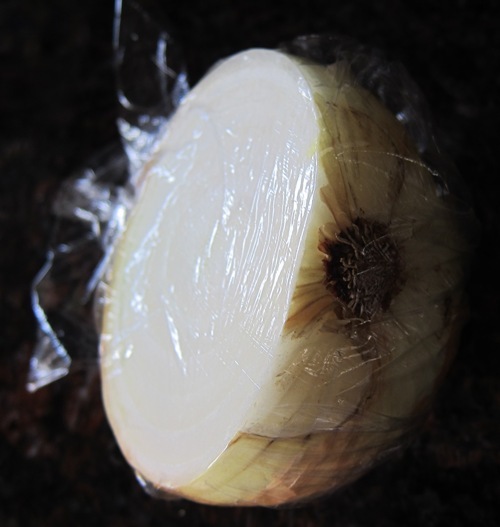 The plastic wrap prevents the onion from losing its juices, so it doesn’t matter whether its sliced side down or up. wrapped in alum foil. Next day the freezer just reeked of onion !!!! So how do you freeze onion ???? To freeze chopped onions, put them in a ziploc freezer bag (squeeze the air out of the bag before zipping). It shouldn’t smell like onion in the freezer, but if you want to be on a safe side you can use double ziploc bag. This is very bad. Plastic is the worst pollutant and is not biodegradable (just check out the Pacific Ocean garbage patch). We should be discouraging people from using disposable plastic, not promoting it. Try using a Tupperware container instead. Yes it is plastic but it will last forever with care and not end up in the garbage and the oceans. It can last longer that that if instead of cutting the onion, you just peel off the layers. 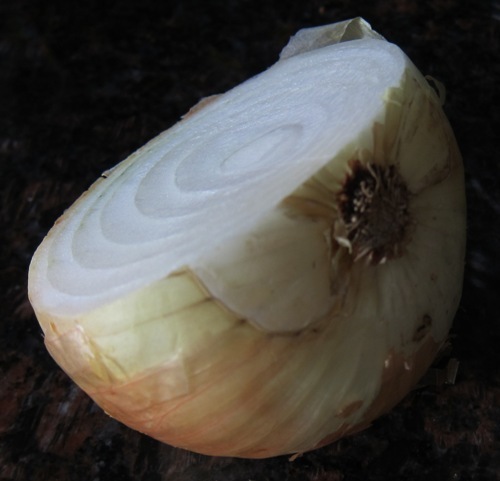 When I didn’t have a refrigerator I could keep an onion I was using for about a week, or until it was gone, by just taking from the outside layers, storing it in a baggie the rest of the time, and if it got damp, drying it with a paper towel when I noticed the dampness. But a cut onion was gross in just a day. 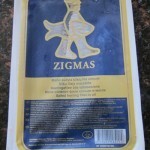 Is it safe to store an unused portion of red onion in foil? My son did this the other day and used some of this onion stored in foil to make tuna salad; is the tuna salad safe to eat? Yes, I think it’s safe, why not?